Want to see the actual design? Recently, I was attracted to bright colours like orange, yellow, green, etc.. 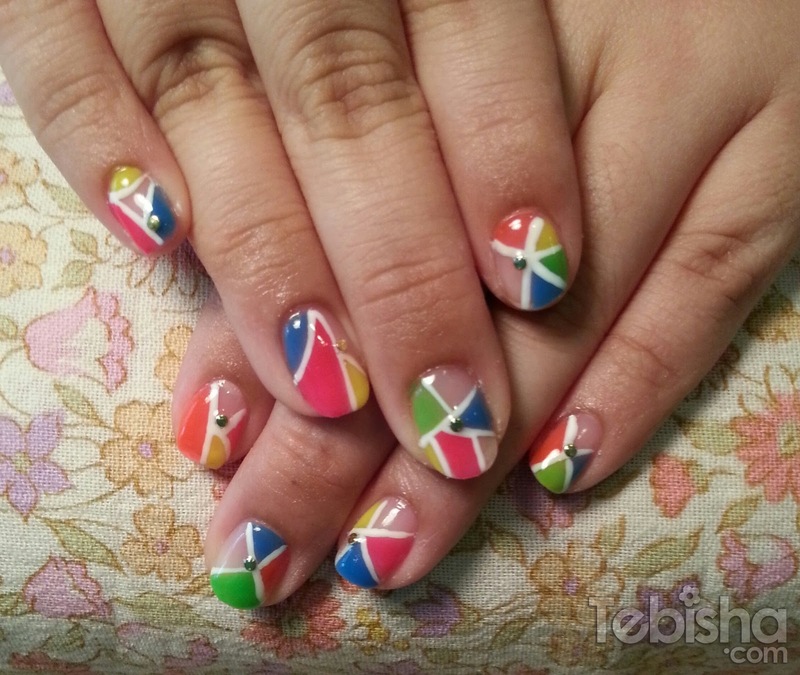 I wanted to put all these colours on my nails, so I requested Mal to do a set of colour blocking nails for me. So what is colour blocking? 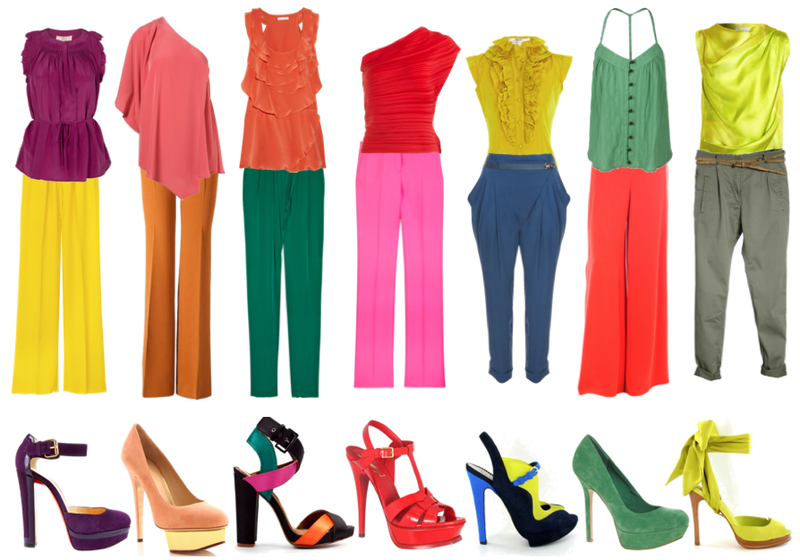 The main principle of the color blocking trend is the combination of different colors and hues. You can create a more modest color couple with two hues of the same color family or go wilder and try three or more eye-popping hues. Very talented Mal did a very good job in the colour combination and drawing the lines free-hand. You will agree with me when you see the outcome. In progress of the colour combination. 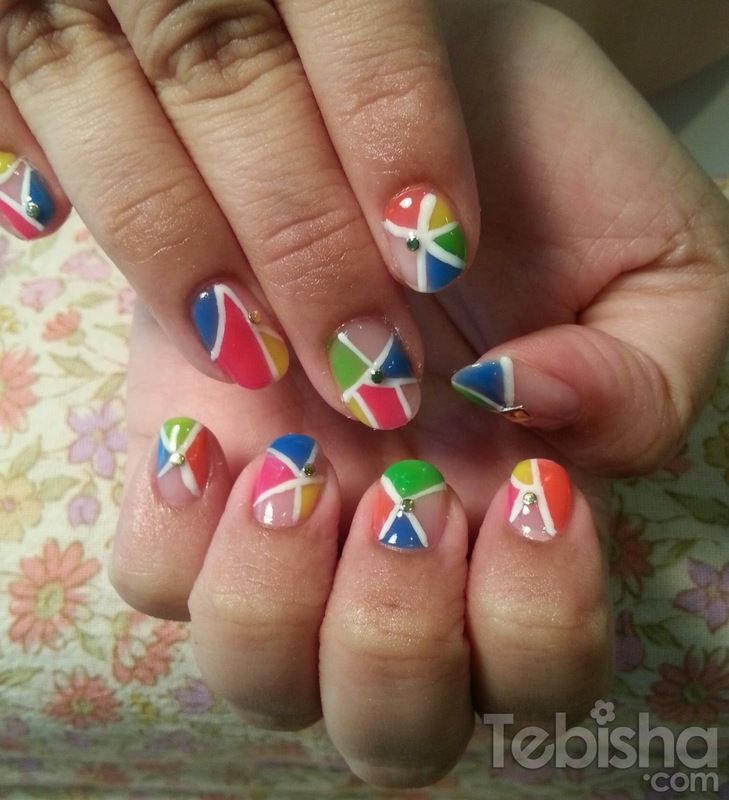 And Tadah~ My colour blocking nails! 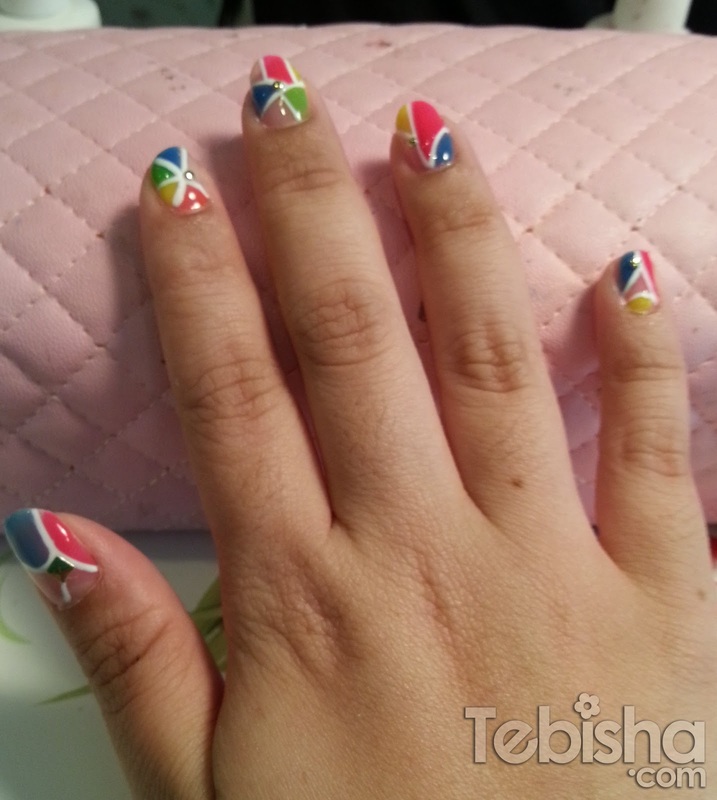 Received a lots of compliments from my friends and colleagues of my colour blocking nails. Want to have pretty nails like mine? Hurry Call 6310 2669 or SMS to 9851 7141 to book your appointment with GardeNails. 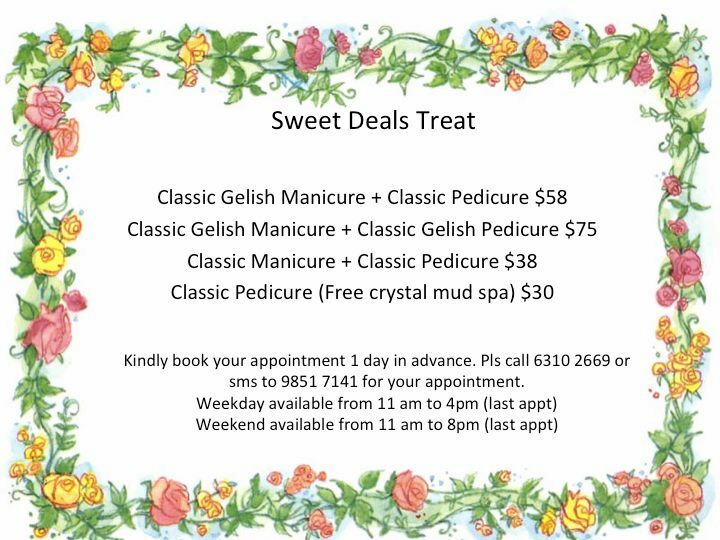 Sweet Deals Treat at GardeNails! 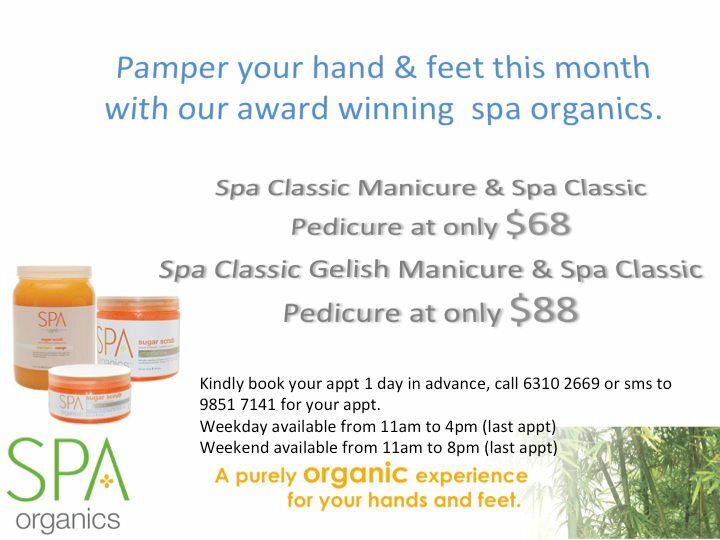 And Monthly Specials – Spa Promotions! For all bride-to-be ladies out there, GardeNails do provide Bridal Nails and Hens Party Packages! Bridal Nails Package starts from $100 onwards! 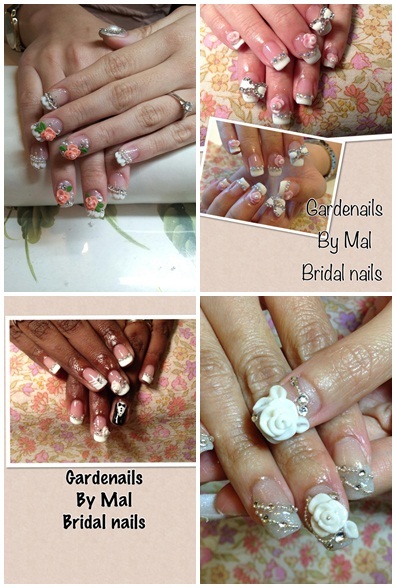 Do contact Mal at 6310 2669 or SMS her 9857 7141 for more details of Bridal Nails and Hens Party Packages. GardeNails is strictly for appointments only, do book your appointment 1 day in advance. You may call 6310 2669 or SMS to 9851 7141 for booking. Visit & Like GardeNails Facebook Page for Latest Promotion & Nail Designs! FREE Parking at Palm Gardens Condo for people who drive!